Here is some good news!! 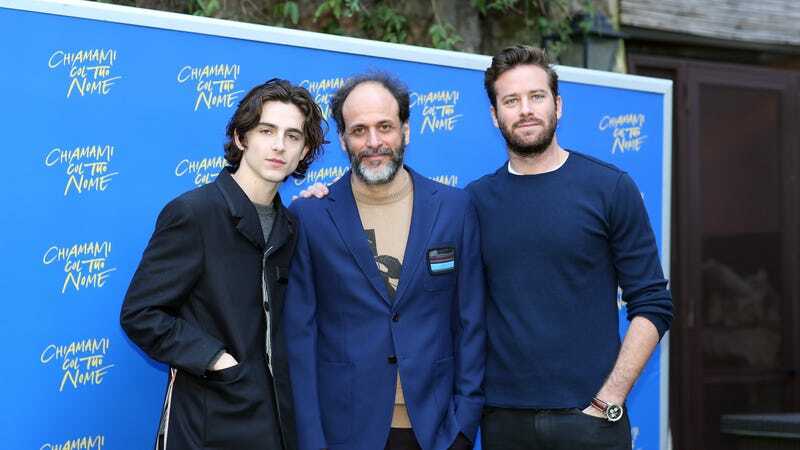 Luca Guadagnino recently revealed that he hopes to make multiple sequels to his overwhelmingly sensual (pronounced in a whisper like “sennnnn-seeew-uhl”) 2017 film Call Me By Your Name, telling The Hollywood Reporter that the peach-filled Best Picture nominee could easily be “the first chapter of the chronicles of the life of these people that we met in this movie.” You know, like Richard Linklater’s long-running Before trilogy. This idea was not the result of the film’s critical and commercial success either, as Guadagnino also said he deliberately moved the setting of the film from the late 1980s (as it was written in Andre Aciman’s novel) to the early ‘80s, “around the time HIV was discovered,” as a way of making the disease play a role in the film’s potential sequels. Do You Even Remember the Last Time You Called Me By Your Name? I can’t wait for these things to drop every nine years for the rest of my life. Nor can I wait for Sufjan’s next sad bop.